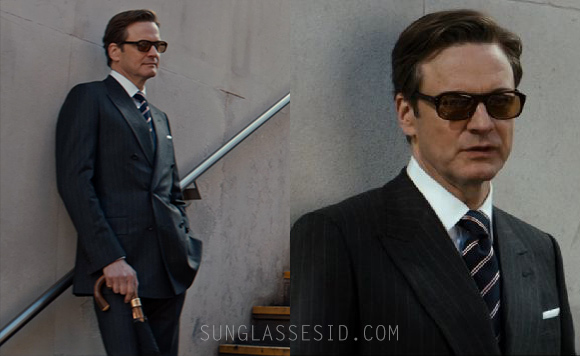 Colin Firth (as Harry Hart) wears Cutler and Gross tortoiseshell acetate square-frame sunglasses in the 2015 spy movie Kingsman: The Secret Service. 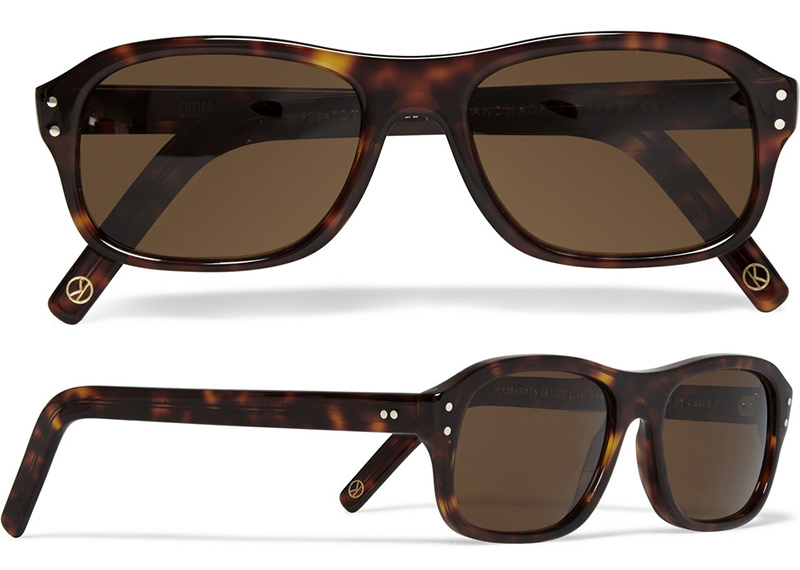 These glasses are hand-crafted in Italy from tortoiseshell acetate in a distinguished square-frame shape. The arms are meticulously stamped on the inlay with the Kingsman logo and 'Galahad' - the code name of the character Colin Firth plays in the film. The Cutler and Gross glasses are part of the Kingsman collection, and are exclusively available on the MR PORTER website. MR PORTER and director Mr Matthew Vaughn have created this collection from Ms Arianne Phillips’ costume design for Kingsman: The Secret Service. Read more about the collection, which includes suits, jackets, knitwear, ties, accessories and shoes, on MR PORTER.